YOU ARE WELCOME TO ATTEND SYNOD 2018 BUT PLEASE BRING YOUR OWN LUNCH. Learn more about Equip! 2018 - Click Here! 1.The Fundamental Declarations and Jerusalem Declaration. Synod is not only for clergy and delegates, anyone in the diocese is more than welcome to attend. is so much more than a diocesan business meeting. It’s a joy-filled opportunity to gather as a diocese for worship, fellowship and spiritual growth. There is always great music, Bible teaching and breakout sessions on topics central to our churches’ ministries and mission. In addition, many mission agencies are on hand in the exhibit area, offering us a wide range of resources. All are welcome to attend any part of Synod. No registration is needed if you plan to only attend the Friday night Eucharist or the Saturday breakout sessions. You also do not need to register if you plan to just drop by to visit the exhibits. special rate ($92.00/night + tax) is available at the Comfort Suites Hotel (14525 Gideon Dr., Woodbridge, VA). When making your booking, request the group rate for DOMA Synod 2018. Deadline to reserve at this rate is Friday, November 2, 2018. Call 703-490-4100 for reservations. lisa.anderson@anglicandoma.org) or Heather Adams, DOMA Registrar (heather.adams@anglicandoma.org). For the past several years, our annual Synod has featured a missional gathering on Friday afternoon aimed at exploring areas of ministry that we believe are critical to the health and growth of our congregations. These “pre-Synod” conferences, featuring topics such as Evangelism (2015), Multi-ethnic Ministry (2016), and Discipleship (2017), have been great opportunities to hear what folks around our diocese and province are doing and the impact they are having. These talks have stimulated a lot of conversation in our table groups and have led to new initiatives in the months following, as the creative ideas shared by our speakers sparked our imaginations and encouraged us to dream about new possibilities. Because these gatherings have proven so worthwhile, we decided a more descriptive title was needed. EQUIP! gatherings seemed a more appropriate name, since that is exactly what they are designed to do for us. EQUIP! 2018 promises to be just as exciting as its predecessors. The theme this year will be how to multiply our ministries through church planting. Our speaker is the Rev. 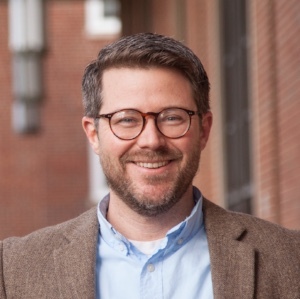 Dr. Winfield Bevins, an Anglican church planter and director of the Church Planting Institute at Asbury Seminary, as well as the author of numerous articles (“Reclaiming the Missional Heart of Anglicanism”) and books (Church Planting Revolution). Dr. Bevins will be giving us lots to think about in his talks, “North America: The New Mission Field,” “Church Planting in the 21st Century: Fresh Expressions and other New Models of Church,” and “How Might an Anglican Church Planting Movement Look: Hallmarks of the Wesleyan Revival.” The focus of his talks will be to help us to understand the changing mission field in which we find ourselves today and how we can more effectively reach those in our communities through innovative approaches that will grow and multiply our ministries. Please join us for these exciting talks and take the opportunity to explore new ways to reach those in your community for Christ. EQUIP! 2018 begins at 2:00 p.m. on Friday, November 16, 2018, and concludes with a light supper together before the opening Eucharist, at which Dr. Bevins will be our preacher. More information can be found here, including the free registration form needed to secure your spot and dinner. We look forward to seeing you and hearing together what God has in store for us as we multiply our ministries through church planting. The Rev. Dr. Tom Herrick is Canon for Church Planting for the Diocese of the Mid-Atlantic. Eucharist Sermon - "Get God"